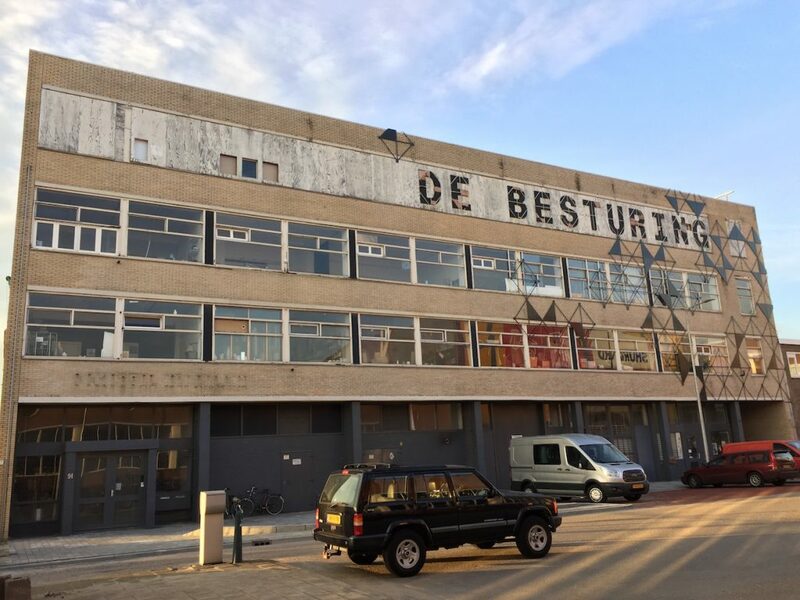 De Besturing was founded in 2006 in an industrial area of The Hague and over the years it has been transformed from a temporary studio complex into a sustainable collective of artists and designers. Initially rented out for free on a temporary basis from the municipality, the community nevertheless collected the rent from tenants, constituting a capital that made possible the building’s purchase in 2017. 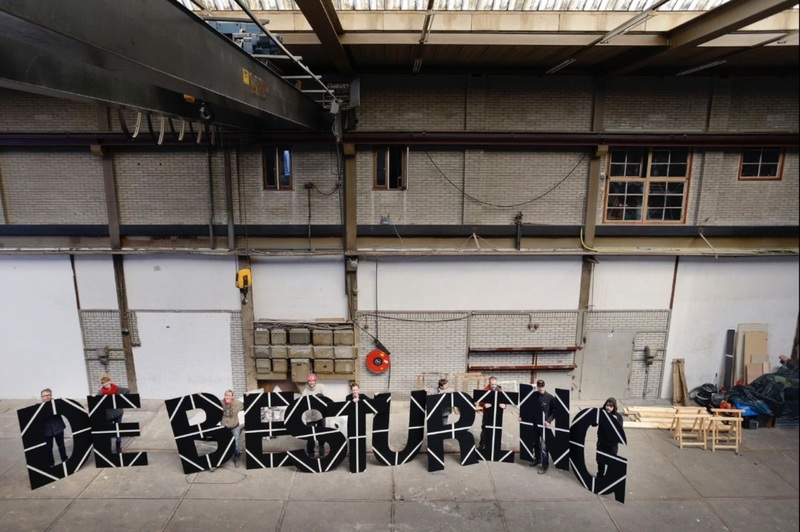 De Besturing is a collective space for artist and designers, and it is based in The Hague, in an industrial area that was previously owned by the municipality. It was established by eight people in 2006, when there were big plans to demolish all the buildings and create new houses. People rented for free from the municipality, but rent was still collected from the tenants in order to raise some money for maintenance. After a few years, the crisis came and all the big plans were suddenly gone, so the municipality decided to sell the building, but there were not many people interested in buying it. Instead, the collective was there and interested in staying, it slowly grew in number of people and plans got more serious. Ten years later, De Besturing is made of 40 people coming from different professional backgrounds. About three and half years ago, we decided to do some research on whether we could really buy the building or not, developing an organisational, economic and business model to make it more sustainable. De Besturing grew into a place where people share space, knowledge and machines because we think it is an added value for society. Why did you start thinking of buying the building? Originally, our plan was not to buy the building, we had a contract with the municipality that allowed us to use the building for free, but would give us two weeks’ notice before we would have had to leave. Luckily, our relationship with the municipality is quite good so we were not too worried about it. When the municipality decided to sell the building, we started negotiating with them to secure a low rental fee. Their message was that we could either buy the building or stay here, but with someone else buying it. We were not so naïve to think that the new owner would give us the building for a low rental fee, so we started making plans to buy it. It started out as a joke, we never thought we would be able to do it. How did you eventually manage to buy the building? Since 2006, the collective could use the building for free from the municipality in form of a loan agreement (in Dutch: bruikleenovereenkomst). Even though we did not have to pay rent to the municipality, every tenant paid rent from day one to the De Besturing Foundation. In ten years, the amount accrued, and this created substantial savings in the foundation’s bank account. We increased our own capital even more by creating additional studios and by having already raised the rent two years prior, to a level that we estimated necessary to maintain the space as owners. For the missing capital, we managed to get a loan from the Triodos Bank. This bank is very much interested in creative hubs because of the strong social relations that such groups of people build; they believe hubs are a very reliable investment. For the last part, the tenants themselves, and their friends and families provided De Besturing Foundation a loan for 10 years. 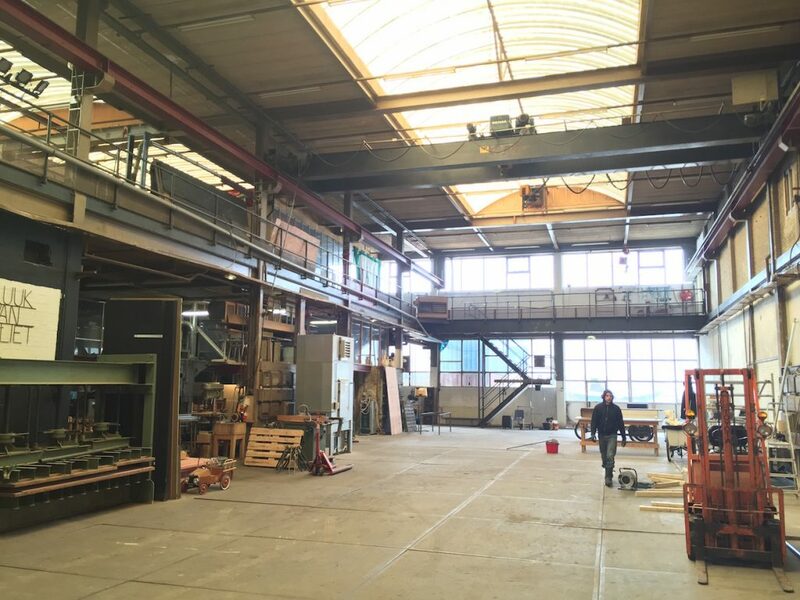 We also needed to finance deferred maintenance and we managed to do this with funding by the Stroom Den Haag Foundation and the Municipality. Another ‘trick’ was to buy only the building and to lease the land. Since the lease contract is eternal (in Dutch: eeuwigdurend), this means in practice that we can act as the owners. How did you adapt your internal business model to ensure the necessary cash-flow to repay the loans? We calculated how many studios we would need to cover all the costs, taking into account the maximum rent our target group can afford. The result was: in the first ten years we would need at least forty studios, but at the time we only had around 25 studios. All tenants worked hard to create the extra studios with their own money and to find interesting new people. By the time we actually bought the building, we were already up and running, and completely full. Since we already took care of our cash flow, the bank was even keener on providing us the loan. Community, Economy, The Hague , civic space, community, culture, economy, English, finance, Funding the Cooperative City, industrial space, neighbourhood, ownership, production, renovation.